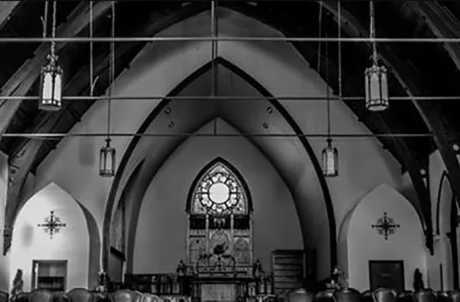 The Cathedral Room is a 3000 square foot gothic church re-purposed to accomodate a variety or private functions and events. It is attached to The Center, a 7000 square foot Spa with it's own event accomodations. Hence, its name "The Cathedral Room at The Center" So, whether you are celebrating a wedding, birthday, special occasion or simply hosting a business or social function, we can help! Our professional staff and affiliates are here to assist you with everything from room and menu planning to adding themes, services, and programs that are tailored to your needs and specifications!